A 14-hour live stream from Tokyo, soon to be held by Square Enix, the start with September 1st until the end of September 2nd, including the 38th Letter from the Producer Live broadcast. Square Enix celebrated Final Fantasy XIV's 4th anniversary, more precisely, that happened yesterday. This celebration aim to mark the 4th anniversary of the game's overhaul A Realm Reborn. If you want to know any more details from FFXIV, view more at here. 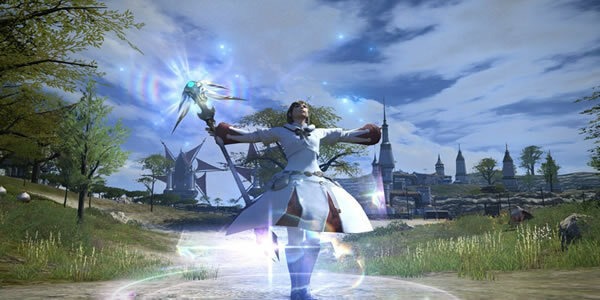 The first Final Fantasy XIV will celebrate its 7th birthday on September 30th. During the broadcast, we’ll get a first look on patch 4.1, and its mysterious 24-player alliance raid Return to Ivalice. Producer and Director Naoki Yoshida will be joined by Final Fantasy XII and Final Fantasy Tactics Director Yasumi Matsuno, who wrote the scenario for the raid. Yoshida said: "From Fan Festivals in Las Vegas, Tokyo, and Frankfurt, right through to the launch of Stormblood, we have been honored by the continued support of our players and are overjoyed to share this occasion with them. I wanted to thank our entire community, which has now reached 10 million Warriors of Light, for supporting us this far—here’s to even more exciting things to come. " Final Fantasy XIV Gil offered by FFXIV4GIL are reliable sourced, safe and honored. We have good reputation. We are constantly trying to offer the lowest prices on Final Fantasy XIV Gil for our loyal customers. We must remind you that don't buy Final Fantasy XIV Gil from unknown websites, as you may get scammed.